One of the original Odeon Theatres, built for and operated by the Oscar Deutsch chain of Odeon Theatres Ltd. The Odeon was opened on 26th July 1937 with Conrad Veidt in "Dark Journey". The cinema was a fine example of the ‘Odeon style’ and was designed by architect Budge Reid out of the Harry Weedon offices. The facade over the entrance was clad in cream tiles, and had three windows which were deeply set into the front. To the right was a slender fin tower feature in brick, which had the Odeon name across the top. To the right of this was a small parade of shops, with flats above. The auditorium ran parallel to the street, behind the shops and flats. Seating was provided on a stadium plan, with a stepped raised section at the rear, which seated 274, and the remainder of the 855 seats were on the main floor. Decorative panels on the splay walls each side of the proscenium were designed by interior designers Mollo & Egan. There was a small stage and two dressing rooms. Later controlled by the Rank Organisation, they leased the cinema to the Brent Walker organisation on 25th October 1975, and it was re-named Focus Cinema. The Focus Cinema was closed on 26th May 1983 with Bruce Campbell in "The Evil Dead" and "Dreamhouse". It was demolished in September 1983 and a McDonalds Restaurant and other shops and a post office were built on the site. The cinema wasn’t built in traditional stadium style as stated. It had a completely separate circle which unusually didn’t overlap the stalls area. The drop wall below the circle front contained the rear entrance into the stalls. The under circle area was occupied by the crush area for the stalls foyer. The circle was accessed by dedicated staircases which led to a substantial circle crush area. Much of my very happy youthful cinema-going life was spent here and at the Ritz, Co-operative Street during the 60’s, 70’s and early 80’s when they both sadly closed for demolition. 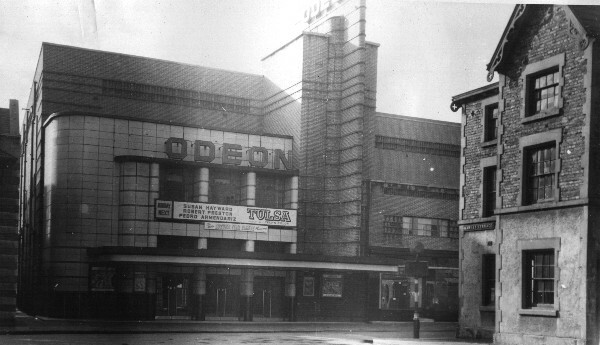 I started my career as a cinema projectionist, in my home town of Crewe, at The Odeon in 1962. The film playing that first week was ‘Summer Holiday’ starring Cliff Richard and I remember that the audiences were huge. 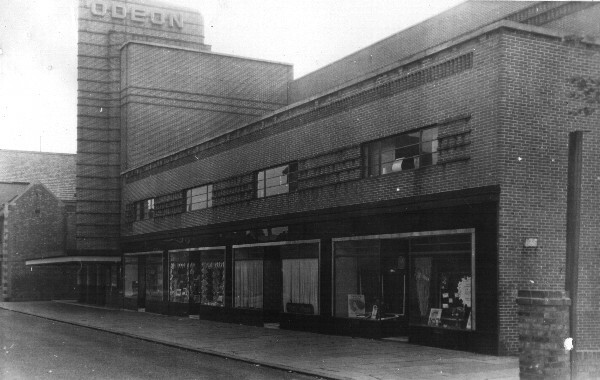 The Odeon was a very popular cinema in the town and played programmes on a weekly basis (seven days). The Odeon showed Rank 1st run release and shows were continuous from around 1.30pm daily (3.00pm Sundays). The Childrens Club on Saturday mornings was always well supported with both stalls and circle seating being used. It was always packed with over 1000 boisterous children. The projection suite was very spacious and included separate staff, rewind and rectifier rooms with a large workshop and several other storage rooms. The projection room housed two Gaumont-Kalee 18 projectors with President carbon arc lamps, a carbon arc spotlight plus carbon arc slide projector. Sound system was Duosonic with two amplifiers and a double non-sync unit. The light on the screen and picture quality were excellent. Chief projectionist in 1962 was Mr. Mike Wells. Mike moved on to the Gaumont in Sheffield some time later. Co.chief was Mr.Frank Hamilton, who was the former chief projectionist from a potteries Gaumont cinema. Either Stoke or Newcatle. He travelled to Crewe daily by bus from his home in Newcatle. Brian Humphrey (second) and myself completed the projection staff. Although I never worked at the Ritz (formerly Kino) cinema in Crewe I did visit the projection room from time to time and enjoyed banter with the lads there. The Ritz had BTH Supa Projectors with xenon lamps installed and fitted with Projectomatic for changeovers. The Ritz showed mainly ABC circuit releases as there was not an ABC cinema in Crewe. I think I remember the Chief projectionist as being Mr Brian Roscoe. Other cinemas in Crewe at that time were Gaumont (formerly Plaza) Grand, Empire, Palace and of course the Lyceum theatre still operating and much improved on the theatre of 1962. 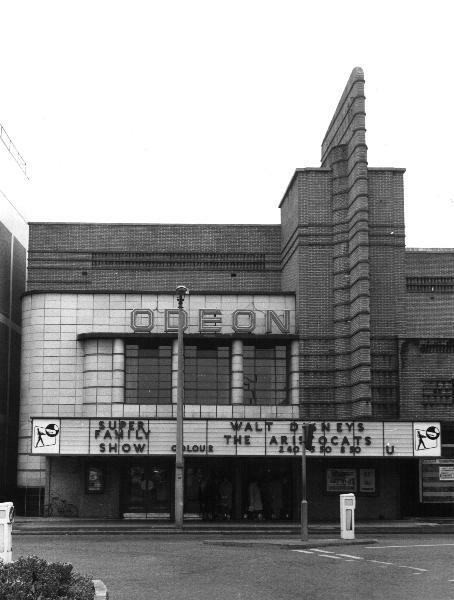 Former projectionist, Odeon Crewe, 1962 – 1964.